Itâ€™s that time of year again â€” when online retailers begin to plan for a tidal wave of holiday shoppers. What will AIâ€™s role be during this busiest of all seasons? The holiday season means many things to many people; to retailers and e-tailers, it means things are about to get crazy busy. This is true no matter when the shopping season begins. In the US for example, it traditionally stretches from Thanksgiving to just after the New Year; in India, it runs from mid-August to January. Retailers of all sorts are already adapting their approach by timing sales and tying them into holidays or other festive events. Here we take a look at how many are using technology to drive sales. Recommendationsâ€”Recommendation engines are the poster child for commercial AI usage. Weâ€™re all familiar with how recommendations work. But letâ€™s think about how this can be improved. 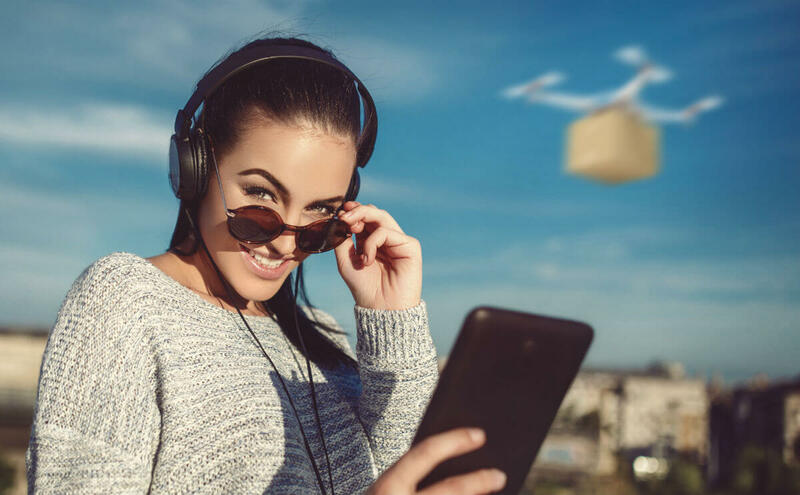 By looking at customersâ€™ purchase histories, current activity (cart contents and page views), and other linked third-party data, e-tailers can tailor suggestions to quite an individual level, resulting in a customized online shopping experience. Demand Forecastingâ€”Knowing in advance the volume of each product you can expect to sell is an essential part of peak season survival. Using AI to enhance demand predictions can help minimize overstock and out-of-stock situations. Personalizationâ€”AI systems can delve deeply into customersâ€™ data, finding trends and preferences that we human retailers simply canâ€™t detect. And itâ€™s not just likes and dislikes; AI can weave in spending patterns, product recommendations and other data sources to come up with a very detailed view. This not only provides the customer with a more satisfactory experience, it also helps retailers hit their sales targets. Shopping Assistant.Â People like to shop with their friends, but online shopping is largely a solitary activity. However, an AI-powered shopping assistant could fill the gap. Think of this as a natural extension of the chatbot, with some visual processing added in. For example, suppose a customer wants to choose an outfit for a special occasion. The AI shopping assistant could learn their tastes and help them select some garments. It could then walk them through the process of virtually trying on an outfit. It could offer suggestions for complementary items or encourage them to buy the product, as a friend might. Customer Service.Â Again, weâ€™re looking at another level of chatbots hereâ€”ones that can learn from the interactions between customers and human reps. The bot can use the data it harvests to create a more personable and personalized interaction forÂ itsÂ Watch this field closely; AI adopters like Flipkart, Google, and Amazon are already pursuing it. Smarter Searches.Â Consumers have become used to voice-powered searches, so theyâ€™ll likely also enthusiastically embrace visual searches. For example, an AI-powered matching algorithm could â€œlookâ€ at a picture of a shopperâ€™s favorite t-shirt (now due for replacing) and suggest similar products. We could see voice-powered searches entering the e-commerce arena as well. This information will also feed into the recommendation engine and the customerâ€™s profile, creating a richer data source. Our guess is that we wonâ€™t have to wait too long to see any of these AI applications become reality. As we stated, companies are either actively researching them, developing them or implementing basic versions of the underlying technology.